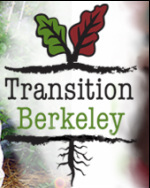 Monday evenings @ 6:30-7:30 p.m.
Community members are encouraged to bring produce, crops, honey, eggs, baked goods and fermented items to the Ohlone Greenway Crop Swap for trade. Share fresh produce with your neighbors at PlaynDirt"s crop swap. Come share and swap crops with your neighbors. Thursdays from 5:30 p.m.-6:30 p.m.
On the first Saturday of each month, Phat Beets holds Urban Resilience: Crop, Plant, and Homemade food Swap + Garden Clinic. People are welcome to share plant starts, seeds, fruits and veggies, eggs, food starters, honey, etc..